soft, rich natural material experience, a variety of alternative modern colors, simple decorative modeling. special sound absorption mechanism, creating excellent insulation performance, thereby creating a very comfortable constant temperature space. polyester fiber fire retardant material, excellent fire retardant and fire retardant properties, CA Technical Bulletin 117 fire detection report. polyester fiber close to the natural color and characteristics, national level testing institutions issued by the formaldehyde emission safety certification, the true sense of green environmental products. the free cutting of the art knife, the collocation of various colors, the simple stitching, the simple processing of the edge angle, the perfect artistic picture and the different style can be easily embodied. good physical stability determines that it will not expand or shrink due to changes in temperature and humidity. soft, natural texture and high elasticity will not break under the impact of huge external forces. Acoustic environment is very important for Studios, Recording Studios, Vocal Booths, Control Rooms, Offices, Home Studios, Home Entertainment Theaters, Gaming Rooms, and Home Offices.Acoustic panels are good for sound by effectively controlling unwanted reverb and echo, Great for spot treating walls in your studio or office. 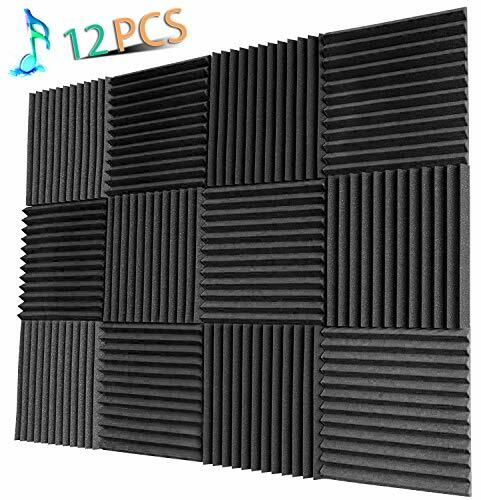 Whether you are podcasting and hosting a Webinar or video review producer,nobody likes to hear Echoes through your sounds.Our acoustic panels will help eliminate Echo in any room of your house. By increasing noise absorption properties inside the room will help to reduce noise transmission through the walls and thus reduce noise outside the room.professional acoustic control reduce waves, reverb and flutter echoes in smaller to medium sized rooms. Acoustic panels are individually packed and not compressed, in order to keep the best sound effects.Most people use adhesive spray though.I suggest using use 3M Command strips,4 per square (one in each corner),and it worked great ! NRC:0.5 Density:25kg/m3 Fire Retardant: CA Technical Bulletin 117. If you have any questions about this product by YWSHUF, contact us by completing and submitting the form below. If you are looking for a specif part number, please include it with your message.